A pre-workshop webinar will be held November 21, 11:00 – 12:00 PST in the SCoPE Blackboard Collaborate room: http://urls.bccampus.ca/scopeevents This is an orientation to open textbooks and will be of interest even if you aren’t able to participate in the workshop. There is no need to register for the pre-workshop webinar. If you are new to Blackboard Collaborate, check that your equipment is ready ahead of the session. There is no fee for the workshop and lunch will be provided. ideas for adoption and advocacy. We will also share experiences to gain insights into what we should be aware of when venturing into the use of OER. Una Daly, Community College Outreach Director at the Open Courseware Consortium (OCW), will be facilitating this event along with others in the BC post-secondary system. At OCW, Una promotes awareness and adoption of open educational practices to improve teaching and learning. Prior to joining the consortium, she was the Director of the College Open Textbooks Collaborative promoting adoption of open accessible textbooks through faculty adopter communities and accessibility awareness for creation and reuse of open educational materials. Are you interested in providing students quality resources to support their learning? 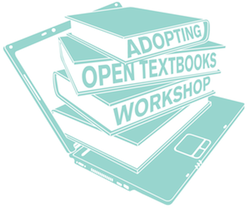 Are you curious about what is involved in adopting open textbooks? Would you like to get together with colleagues for a full day of hand-on exploration and interesting dialogue? Do you have questions about open textbooks? Do you have expertise to share? If you answer is yes or maybe to any of these questions then you should participate in this workshop! Register online by November 23, 2012. We will contact you and post further details here about the day. The world of open textbooks is a whole new territory. Start jotting down your questions! Who can answer your questions about the workshop?